The pelvis or “basin” is composed of four bones: the two hip bones, the sacrum and the coccyx. The bowl like pelvis with it’s concave iliac fossa, and pelvic floor muscles, helps to support the internal organs of the abdomen. The pelvis also acts as a solid foundation for the attachment of the spinal column and legs. 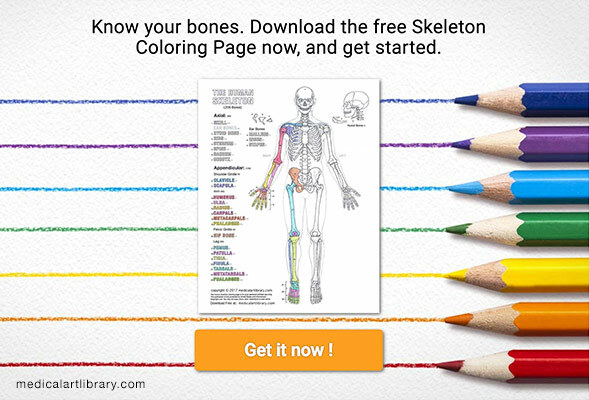 The hip bone, also called the coxal bone, is composed of three parts: the ilium, the ischium, and the pubis. These three bones are separated by cartilage at birth and become fused in the adult. The sacrospinous ligament, attaches from the sacrum to the ischial spine. This transforms the sciatic notch into the sciatic foramen. Through this foramen pass some important structures from within the pelvis into the gluteal region, most notably the piriformis muscle and the sciatic nerve. The iliac crest ends in the anterior superior iliac spine and the posterior superior iliac spine (not shown). 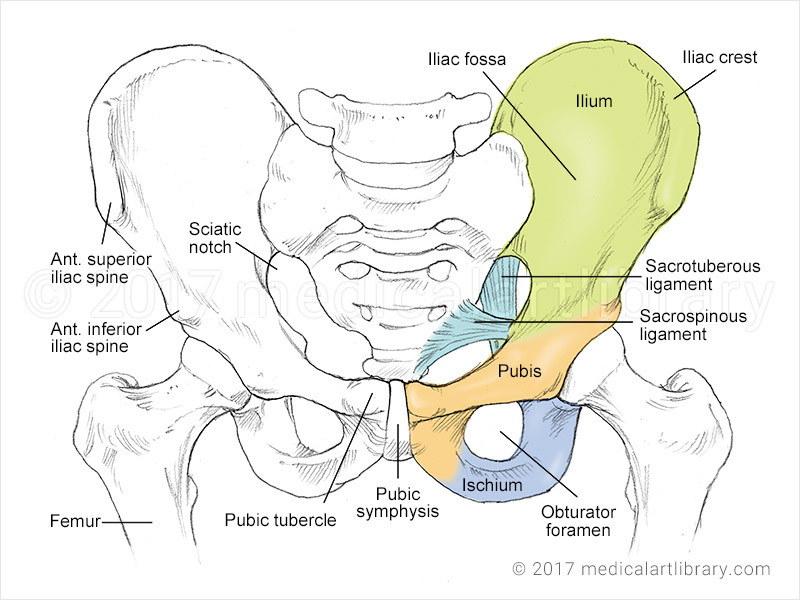 The inguinal ligament connects from the anterior superior iliac spine to the pubic tubercle. The two pubis bones join in the midline via the fibrocartilage pubic symphysis.